Lisboa é conhecida como a cidade das sete colinas e, por isso mesmo, tem vários sítios onde a vista é lindíssima. Eu não me canso de ir a estes sítios e hoje vou partilhar com vocês os meus três favoritos. Se tiverem mais sugestões deixem nos comentários que eu faço questão de conhecer esses sítitos assim que voltar a Lisboa. 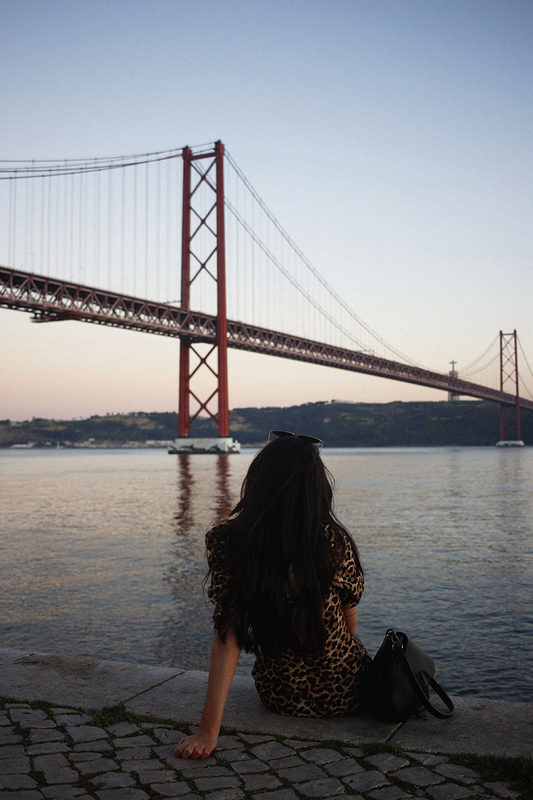 Lisbon is known as the city of Seven Hills and for that reason, it has a lot of places with breathtaking views. I can't get tired of any of these places and today I'm sharing my top three. If you have more suggestions please leave them on the comments that I will make sure to go there next time I'm in Lisbon. De todos os miradouros que já visitei na cidade, este é, para mim, o meu favorito. Fica em Alfama e preparam-se para subir uma grande colina, mas a vista que vão encontrar vale mesmo a pena. This view will literally take your breath away because you have to go up a very steep hill, but it's definitely my favourite viewpoint. It's in Alfama and the view is amazing. You can see the river, but also all the city centre. Já não é a primeira vez de que falo sobre o Arco da Rua Augusta por aqui, mas, de facto, gosto mesmo muito da vista que encontram no topo deste monumento. A entrada são 3€ e, para mim, a melhor altura para lá ir é ao pôr-do-sol, a vista é mesmo lindíssima. It's not the first time I talk about the Rua Augusta Arch, but I really like the view you can find at the top of this monument. The entrance is 3€ and I really recommend you to go there around sunset time, the view is amazing. Este miradouro fica no Bairro Alto e é conhecido como o miradouro mais romântico da cidade. Fica quase do lado oposto do Miradouro da Graça, por isso a vista é bem diferente, mas, igualmente, bonita. Lounging on the cusp of Bairro Alto, this viewpoint is known as the most romantic in the city. It's on the opposite side of Miradouro da Graça so the view is quite different, but you can be sure that is gorgeous as well.